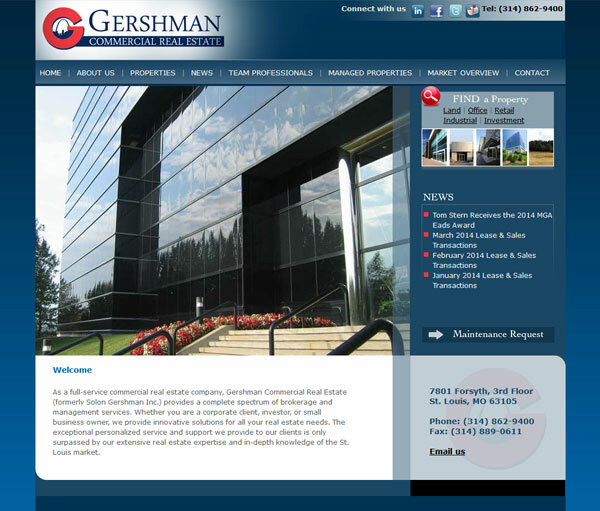 Solon Gershman Inc., a St Louis commercial real estate company, contacted us needing a complete re-design of their web site. We completely reworked their old site, creating a fresh new professional look which is easier to use and consistent throughout. The home page features a slide show of properties with easy access to property search tools and the latest company news. The site also integrates data from a 3rd party property listing service and offers the site visitors a seamless experience.